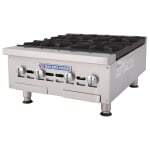 The Bakers Pride BPHHP-424I hotplate has four independently controlled burners that are heated with natural gas. A welded combustion chamber is made of heat-resistant steel, while its exterior is constructed of durable aluminized and stainless steel. Adjustable legs lift the charbroiler off the countertop to prevent overheating. 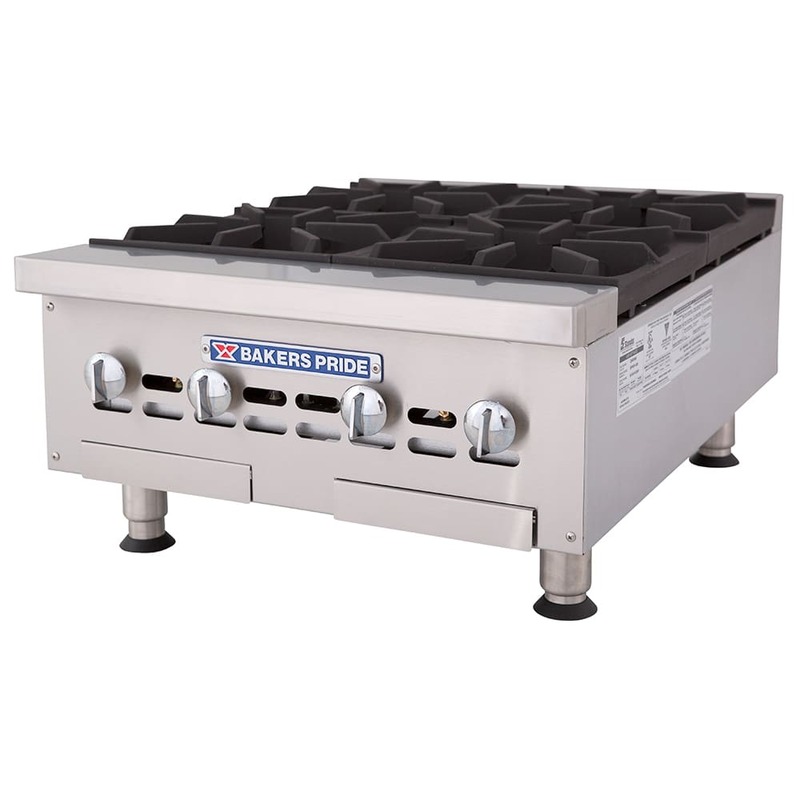 The Bakers Pride BPHHP-424I hotplate has a slide-out crumb tray that collects liquids and debris. Get more information from the countertop cooking equipment article.